McWade represents a number of leading international companies through agency agreements, as well as manufacturing its own products under a variety of brands. The EFACEC Group is the largest Portuguese corporation in the field of electromechanics and electronics, with a strong presence in different international markets. It is headquartered in Matosinhos, Greater Porto area, Portugal. The Izumi Products Company was established in August 2010 and has 319 employees. Izumi provides us with cable cutting, connecting tools and appliances. Jindal’s, founded in 1967, is a well known group of companies which specialises in the design, engineering & manufacture of a variety of energy-efficient equipment. Jindal’s is the pioneer & market leader in the field of Industrial Voltage Stabilizers and Rectifiers in South Asia. The production of high quality aluminium profiles has been Nedal’s core activity since it was established in 1938. Their aluminium busbars are a Nedal speciality. They can extrude a wide range of aluminium profiles in various alloys with weights up to 100 kg per meter up to 30 meters in length. World leader in the industry of high-technology cables and systems for energy and telecommunications, with sales of about €7 billion in 2014, the Prysmian Group is a truly global company with subsidiaries in 50 countries, 89 plants, 17 research & development centres and over 19,000 employees. 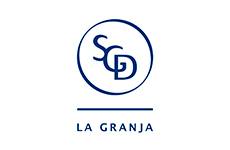 With more than 250 years of glass-making history, SGD La Granja is one of the leaders in this field. The company has extensive experience in the production of glass insulators dating back to 1932 with the manufacture of rigid / pin types insulators and have manufactured suspension insulators in 1958. SGD La Granja’s business is centred around providing excellent service based on continuous improvement, actively responding to customer needs, ongoing training of their teams and a huge amount of technical development leveraging years of experience in their field. The Zibo Taiguang Electrical Equipment Factory was established in 1991. It is a specialised factory for manufacturing 10-1000kV/70-550kN composite insulators and the testing base of high voltage insulation technology for the Unisplendour Group of Tsinghua University. Provides a wide range of polymer insulators for 11kv to 765kv. Applications stretch from sub-zero temperatures of Alaska to the harsh UV conditions of the Namid Desert. Idube specialises in the manufacture, supply and installation of portable earthing equipment (temporary grounding) and related equipment. (I.e. equipotential ground sets, substation ground sets and portable earthing equipment.). They are also distributors for HUBBELL POWER SYSTEMS INC., Ohio Brass Quadra*Sil Insulators and distribution class and station class surge arresters. They provide live line equipment produced by AB CHANCE as well as hot line tools and equipment, insulating rubbber gloves, sleeves and blankets. They also provide Field Services.